The Bath International Music Festival, which runs from 20 to 28 May 2016, is in its 68th year which is something really to be celebrated in the current climate which has seen festivals like the City of London Festival fall by the wayside. The Bath International Music Festival is a mix of classical programming with world music, jazz and folk, plus a range of free events including the Party in the City on opening night. Classical events include Edward Gardner conducting the Philharmonia in Elgar and Sibelius, Schubert from tenor Nicholas Mulroy and from pianist Richard Goode, Schubert's quintet from the Navarra Quartet and Philip Higham, and all of Bach's cello suites. Under artistic directors David Jones and James Waters the classical programme opens and closes with the Navarra Quartet in repertoire which mixes Haydn, Beethoven and Schubert with Ravel and Peteris Vasks. For their final concert they are joined by cellist Philip Higham for Schubert's quintet. Continuing the Schubert mood, tenor Nicholas Mulroy and pianist Alistair Hogarth will be giving two recitals, each devoted to a major Schubert song cycle, Die schone Mullerin and Winterreise. And pianist Richard Goode is performing Schubert's last three piano sonatas. Cellist Philip Higham is also playing Bach's cello suites over three lunchtime recitals. BBC new Generation Artist, guitarist Sean Shibe has his own lunchtime recital playing Britten, Dowland and Walton. Other lunchtime recitals include Isabel Villnueva (viola) and Charles Wiffen (piano) in Schubert, Prokofiev, and Martinu. Pianist Kenneth Hamilton will be recreating the repertoire of Liszt's tour of Britain in the 1840's. Alistair Hogarth and jazz pianist Jason Rebello join forces with Nicholas Mulroy and mezzo-soprano Anna Huntley to perform Schubert, Schumann, Debussy, Brahms and Gershwin with improvisations between the songs performed by Jason Rebello. Bath Camerata will be performing Rachmaninov's Vespers (All Night Vigil) conducted by Benjamin Goodson, and Tenebrae, conductor Nigel Short, will perform Bruckner and Brahms at Bath Abbey. Mexican tenor Hector Sandoval performs arias by Verdi, Bizet, Giordano and Puccini with Bath Philharmonia and Jason Thornton. 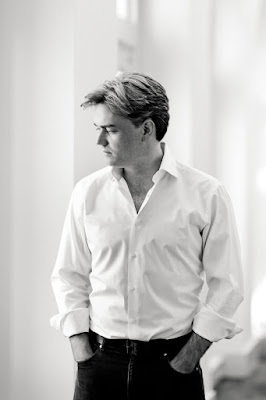 Whilst Edward Gardner conducts the Philharmonic in Elgar's Second Symphony and Sibelius' Violin Concerto (soloist Valeriy Sokolov). The jazz and world music programme includes such names as Jay Rayner and Branford Marsalis alongside Ranjana Ghatak who has created her own distinctive style out of her background in Indian Classical Music, and singer song-writer Teddy Thompson who is the son of Richard and Linda Thompson. The whole thing kicks off with Party in the City with 1000s of performers in the city's venues, museums, churches and parks - all free!